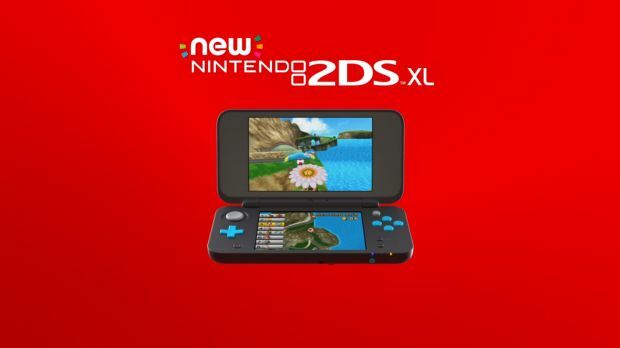 Reggie Fils-Aime says it’s “in between” the 2DS and 3DS XL. The DS line-up will be expanded once again when the New Nintendo 2DS XL releases in July. Priced at $149 and boasting improved processing power, it will serve as the definitive non-3D handheld from Nintendo. However, many have asked about the need for the New 2DS XL. Speaking to Time, Nintendo of America president Reggie Fils-Aime noted that the new handheld will stay “in between” the 2DS and 3DS XL. “The Nintendo 2DS really focused on that entry level gamer. The four-, five-, six-year old that is just getting into gaming, but wants to play Mario Kart, wants to have a Super Mario Bros. experience, wants to play Pokémon. And we feel with Nintendo 3DS XL at $199 that it’s a fully-featured product, that it is, if you will, the Cadillac of handheld gaming. And then we heard from consumers, ‘Boy, I wish there was something in between. '” This resulted in the New 2DS XL’s creation. The New Nintendo 2DS XL will be available on July 28th in North America and Europe at $149/£133.